Track Your Adventure Number Four: Fall for the Arts—This Summer! | Sumter…In the Middle of Everything! In today’s environmentally conscious world, the concept of “re-purposing” buildings is part of doing business as usual. Gone are the days of tearing down structures and building something new and trendy atop what might have been an interesting historic site. But it wasn’t so long ago that finding a new use for an old building was considered an innovation—and by some, perhaps, even a waste of time. Sumter County was well ahead of the game in the 1980s, with the decision to repurpose the old Sumter High School building on Haynsworth Street. Alma mater of many Sumterites since 1939, it had outlived its usefulness and, in 1983, was replaced by the present Sumter High School on McCray’s Mill Road. For the first time in the city’s history, all four public school classes attended school together for four years and graduated from under the same roof. This left the question of what to do with the old building, particularly the Haynsworth Street Auditorium, which had become home to many stage performances on weekends and during the summers. In addition, the building occupied a prominent place in the center of the city’s residential historic district. Obviously, if there was a chance of saving it from the wrecking ball, our community leaders were highly interested. And so it came to pass…in 1986, after a thorough renovation and many upgrades, the venerable auditorium was re-opened as Patriot Hall, a state-of-the-art performance facility that has since become one of the area’s premier arts venues. Seating 1,017 patrons at full capacity, Patriot Hall has hosted nearly every kind of performance in its nearly 30-year history, from the Sumter Community Concert Band and Civic Chorale to New York City’s Alvin Ailey Dance Troupe, to the Columbia City Ballet and fully staged Sumter Little Theatre productions such as “Oklahoma!”—as well as educational lectures, political forums, art installation events, and so much more. 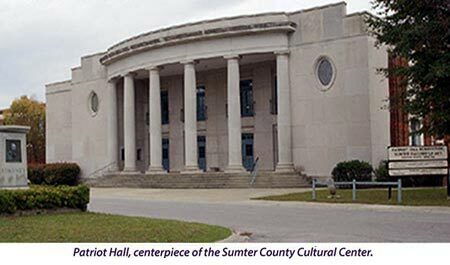 Patriot Hall’s opening also marked the birth of the Sumter County Cultural Center, seat of the Sumter County Cultural Commission and one of only a few fully-contained arts centers of its kind in the state of South Carolina. In the meantime, a former wing of Sumter High School, located immediately adjacent to Patriot Hall, was about to undergo its own renaissance. 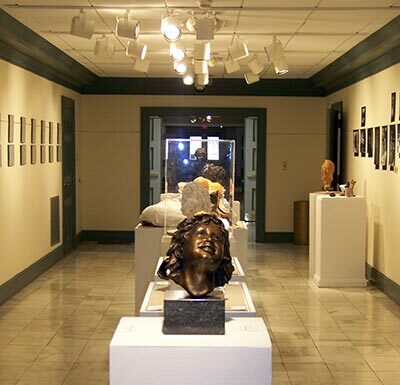 With funds raised from the public and private sectors, the unused classrooms were gutted and redesigned as spacious galleries, up-to-the-minute climate control and security were installed, and the Sumter County Gallery of Art proudly opened its doors in 2003 at its present location (200 Hasel Street). As a fitting nod to the past, the first exhibit was “Sumter Collects,” a surprisingly eclectic collection of artwork from local private collections. Since then, the Gallery has played host to everything from SC folk art to the work of internationally known painters, sculptors, photographers, and other artists working in a variety of media—some of it, such as avante-garde film, quite surprising and a departure from static “art on a wall.” Along with children’s classes, fundraising events, educational forums, and showcasing emerging artists in neighboring “Gallery 135,” the Sumter County Gallery of Art has come a long way since it was established in 1970 at the former Carnegie Library on West Liberty Street before moving to the former Elizabeth White House on North Main Street, where it remained for decades. The present Gallery features three exhibit rooms downstairs, seven classrooms upstairs, and ample reception space flowing through Gallery 135 and into the Patriot Hall complex. The third venue of the Sumter County Cultural Center has the deepest roots in the Sumter community. 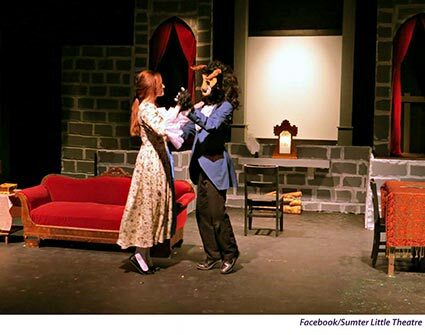 Formed in 1941 and originally chartered in 1949, the Sumter Little Theatre’s enthusiastic volunteers have dedicated decades to quality theatre productions of all types and for all ages. Headquartered at the Sumter County Cultural Center since 1987, SLT presents an annual season in a “black box” setting that creates an intimacy between the actors and audience. The vibrant Youth Theatre program offers classes in acting, improv, lighting, sound, and design, with many alumni going on to study theatre arts on a post-secondary level, and quite a few finding careers in arts-related fields. 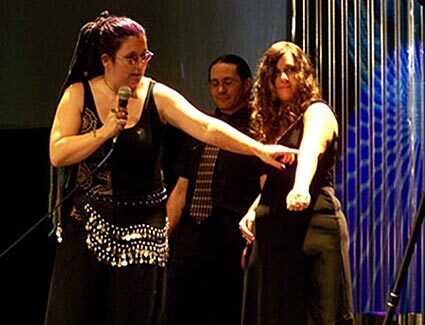 In addition to the regular season, other quality entertainment such as “Cabaret Night” is also offered. The Sumter Little Theatre is located at 14 Mood Avenue. Beating deep within the heart of old Sumter, the Cultural Center is the pulse of Sumter County’s cultural activities. Stop by sometime at 135 Haynsworth Street, or give them a call at (803) 436-2260. Prepare to leave with your horizons expanded! More info on the “Track Your Adventure” program can be found here, or call the Sumter Convention & Visitors Bureau at (803) 436-2640 . This entry was posted in Sumter SC Tourism, Sumter, South Carolina, Visit Sumter SC and tagged arts, community theatre, gallery, Gallery 135, government, Patriot Hall, performing arts, SC, South Carolina, Sumter, Sumter County Cultural Commission, Sumter County Gallery, Sumter Little Theatre, theatre, Track Your Adventure, visual arts. Bookmark the permalink.